Boulder, Colorado. December 13, 2013. 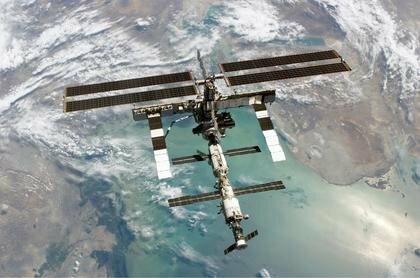 A University of Colorado Boulder research center will launch two payloads aboard Orbital Sciences Corp.’s commercial Cygnus spacecraft to the International Space Station on Dec. 18, including a biomedical antibiotic experiment and an educational K-12 experiment involving ant behavior in microgravity. BioServe Space Technologies, a NASA-funded center in CU-Boulder’s aerospace engineering sciences department, designed the biomedical experiment to test the effectiveness of antibiotics in space. Past experiments by CU-Boulder and other institutions have shown bacterial susceptibility to antibiotics is significantly reduced during spaceflight, although the reason is not yet known, said CU-Boulder Associate Professor David Klaus, principal investigator on the project. Klaus said the investigation will examine changes in the gene expression of the bacteria E. coli during exposure to different concentrations of antibiotics while in the microgravity environment of space. The hope is to locate particular genes that are key to resisting antibiotics, which could lead to improved testing on Earth as well as new drug targets or new approaches to understanding antibiotic resistance in certain diseases or infections, said Klaus. Co-investigators on the project include BioServe Director Louis Stodieck, a research professor in aerospace engineering, and Shawn Levy, a researcher at the HudsonAlpha Institute for Biotechnology in Huntsville, Ala. The research effort also involves CU-Boulder doctoral candidate Luis Zea. Bacterial resistance to antibiotics kills 100,000 Americans every year and represents a roughly $20 billion expense to the U.S. government in excess health care costs, said Klaus. The experiments will be undertaken using spaceflight test tubes contained in the Commercial Generic Bioprocessing Apparatus, or CGBA, an automated, suitcase-sized incubator, all designed and built by BioServe. The second experiment launching to ISS is known as Ants in Space, which examines foraging patterns based on the density of the common Pavement Ant, said BioServe Business Development Manager and Education Program Director Stefanie Countryman. “Past experiments by Professor Deborah Gordon, principal investigator on this project, have shown that some ant species have the ability to search areas collectively without individual communication. When ant densities are high, each ant thoroughly searches one small area in a circular, “random” walk, she said. When ant densities are low, each ant searches by walking in a relatively straight line, allowing it to cover more ground. Countryman has previously directed BioServe K-12 education experiments involving the behavior of butterflies, ladybugs and spiders in space, reaching hundreds of thousands of students around the world in the past two decades. For the ant experiments BioServe is partnering with the Baylor College of Medicine’s Center for Education Outreach, a longstanding BioServe partner that has developed the education curriculum guide for the experiment. BioServe research partners on the ant project include Gordon of Stanford University and Associate Professor Michael Greene of the University of Colorado Denver. The experiment is sponsored by NASA’s National Lab Education Office as well as the Center for the Advancement of Science in Space, a nonprofit group headquartered in Cape Canaveral, Fla.
Teachers interested in participating in the ant experiments can contact Countryman at countrym@colorado.edu. More information on the project for teachers and students will be online beginning in mid-January at http://www.bioedonline.org. The launch of the Cygnus cargo vessel is slated for 9:42 p.m. Dec. 18 from NASA’s Wallops Island Flight Facility in Virginia. It will be the first Cygnus resupply cargo mission launched to ISS by Orbital Sciences Corp. and follows the earlier successful launch of a Cygnus demo flight to ISS that arrived at the orbiting station Oct. 22. In the past 25 years BioServe has designed, built and flown microgravity life science research experiments on more than 40 space missions. BioServe has a full suite of space flight hardware, both on ISS and on the ground, which supports its own research as well as research conducted by its customers and partners. Past BioServe partners include large and small pharmaceutical and biotechnology companies, universities and NASA-funded researchers. For more information on BioServe visit http://www.colorado.edu/engineering/BioServe/index.html.